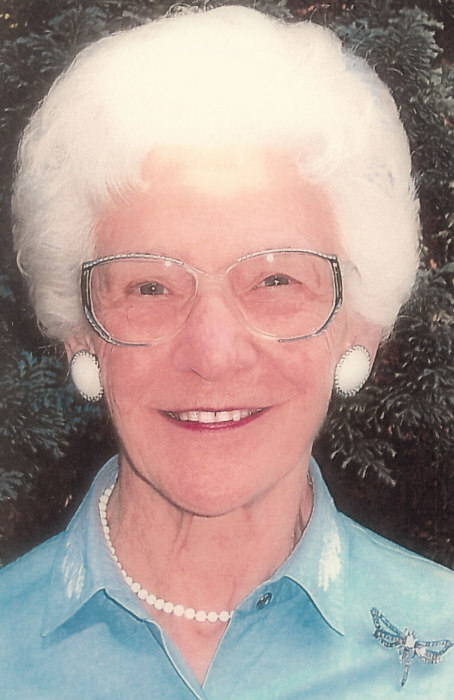 Suzanne J. Roper, age 94 of Grand Haven, passed away on Sunday, March 31, 2019 at a local care facility. She was born on July 27, 1924 in Saginaw, MI to the late Bernard and Nellie (Cliff) Jochen. Sue married William G. Roper on December 29, 1956 in Bay City, MI. He preceded her in death on March 19, 2013 after 57 years of marriage. Sue was a long-time member of First Presbyterian Church, where she served as Deacon. She volunteered at hospitals in Grand Haven and Bay City, and also for Meals-on-Wheels. Sue was a member of the Free Bed Guild, and worked in Kiddie Keep for several years. She loved helping people and was always very involved in her community. In her younger years, Sue also enjoyed aerobics and traveling, and she loved her grand-cats and was a supporter of Phaedra & Phriends. Suzanne will be lovingly remembered and missed by her daughter, Marty (Fred) Hoewe of West Olive; son, David Roper of Flint, MI; sister-in-law, Edie Adie of Neenah, WI; nephews, Paul and Tom Adie; and niece, Nancy Chmielewski. She was preceded in death by her first husband, Richard R. Wilder; niece, Christine Paquette; sister, Muriel Paquette; and brothers-in-law, Paul Roper, Bryce Adie, and Vincent Paquette. The Memorial Service will be at 11:00 a.m. on Thursday, April 4, 2019 at First Presbyterian Church with Pastor Dale Swihart officiating. Visitation will be one hour prior to the service at the church. Interment will be at Lake Forest Cemetery. Memorial Contributions may be given to First Presbyterian Church or Harbor Humane Society.